NEW DELHI — An Indian court convicted the Bollywood star Salman Khan on Thursday in two cases of killing rare antelopes, settling — for now — a bitter legal battle that has stretched over nearly 20 years. 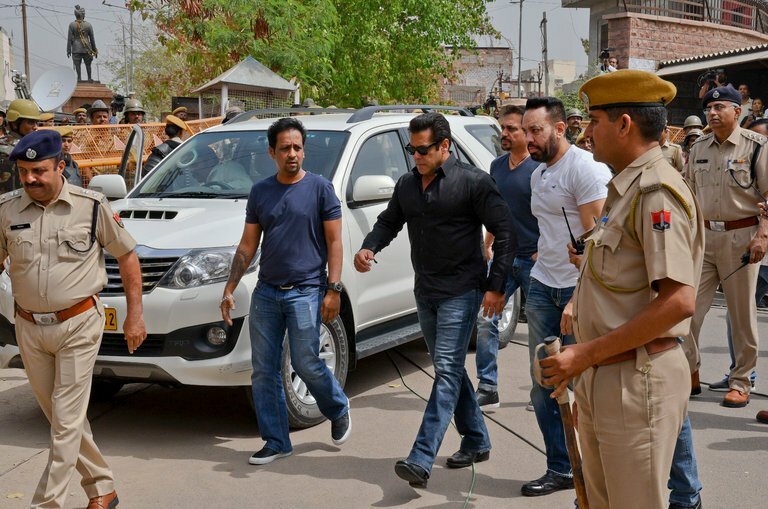 The Bollywood star Salman Khan, center, before appearing in court in Jodhpur, in Rajasthan State, on Thursday. He was sentenced to five years in prison; his lawyers said they would appeal, and apply for bail. Mr. Khan has long maintained his innocence, saying that he had been framed by the forest department “for publicity” and that a forensics team had found that the antelopes in question died from “natural causes.” Instead, Mr. Khan said in a 2009 interview that he had helped the animals, even feeding one biscuits. 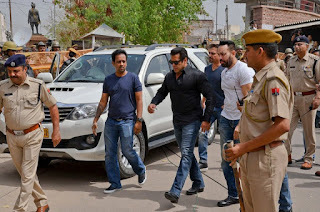 0 Response to "Salman Khan, Bollywood Superstar, Is Convicted of Killing Antelopes"